By Laila Benhaida, Trainee Archivist. Earlier this month our archivist Jo Robson, together with volunteers Daljit Singh and Raj Kaur organised a reminiscence session at Manchester Central Library. Participants – including Daljit and Raj – comprised staff and members of the management committee from ‘Speaking for Ourselves’. SFO was a landmark oral history project with Manchester’s Sikh community, funded by Manpower Services during the 1980s. On Friday 6th July we held our 3rd annual Community History Showcase at GMCVO St Thomas’s, Ardwick. A huge thanks once again to everyone who contributed; the event could not have happened without your input which is hugely valued and appreciated. Yesterday Collections Access Officer Hannah Niblett and I presented a paper to around 60 delegates from the National Archives conference at The Lowry in Salford. Our paper was called Coming in From the Cold: Narrowing the Gap Between Community Engagement and Collection Development. In it we presented findings from the research phase of this project, together with ideas for a model of working based on our own experience of facilitating and archiving community history projects. 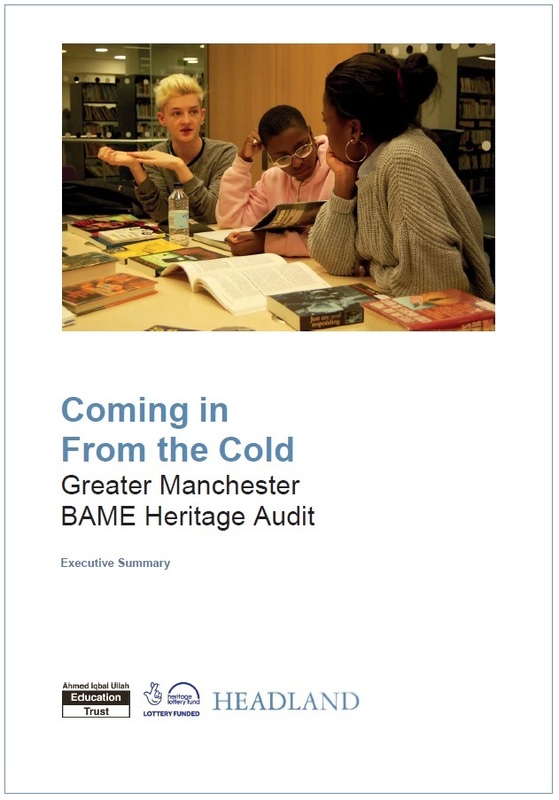 Our main concern – and our aim for Phase Two going forward (should we receive the necessary grant funding) – is to address the key issue, that funding for BAME-related community-led heritage projects is increasing but their visibility is not. The content seemed well received by the audience who helped us to ponder issues of authorship, ownership and access during the ensuing discussion. At the end of the summer we said ‘goodbye’ to two much-loved members of the project team. Marzuqa Iffat came to the end of her graduate internship and Daniella Carrington completed her post-graduate studies. Thanks to both of them for all their invaluable contributions; to Marzuqa, for the many hours that you spent on the telephone and computer, contacting organisations and individuals for the audit, then pouring over the resulting data; and to Daniella for establishing and maintaining this blog and for taking so many beautiful photographs along the way. Love and best wishes for the future.